So Bea uses her math skills to come up with The Formula, a 100% mathematically-guaranteed path to social happiness in high school. Now Gabe is on his way to becoming Student Body President, and Spencer is finally getting his art noticed. But when her boyfriend dumps her for Toile, the quirky new girl at school, Bea realizes it's time to use The Formula for herself. She'll be reinvented as the eccentric and lovable Trixie—a quintessential manic pixie dream girl—in order to win her boyfriend back and beat new-girl Toile at her own game. 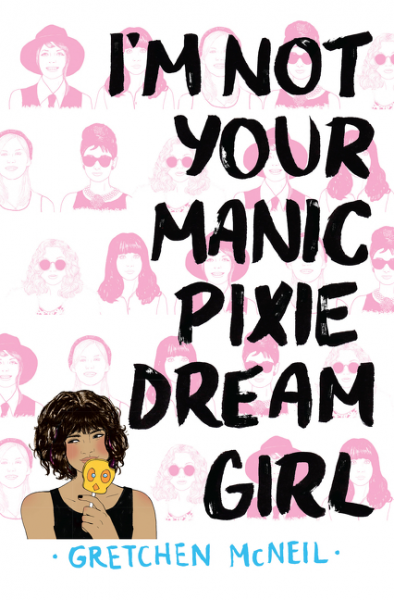 Unfortunately, being a manic pixie dream girl isn't all it's cracked up to be, and “Trixie” is causing unexpected consequences for her friends. As The Formula begins to break down, can Bea find a way to reclaim her true identity, and fix everything she's messed up? Or will the casualties of her manic pixie experiment go far deeper than she could possibly imagine? Love Gretchen's books, but this one just doesn't seem like my kind of read. Hope you enjoy it once you read it though!! I think this sounds kind of fun. Definitely different from the suspenseful novels the author usually writes. Good pick! So curious about this one! Me too! Hope the story delivers. Sounds great ~ Hope you enjoy it! This isn't my kind of normal read, but I hope you love it! The cover is adorable! This sounds like such a great book. 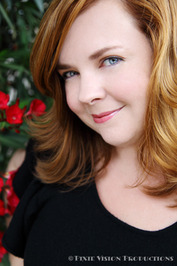 I love the idea behind-- delving into that idea of the "manic pixie dream girl." This kind of reminds me of The Boyfriend App by Katie Sise. Great pick! The cover is so cute! Yeah it seems like it'll be a fun read. I would not have expected something like this from Gretchen! Very interesting though, will have to check it out. :) Thanks for stopping by my blog. Wow! This sounds pretty interesting! Here’s my WoW! I love the title of this and the premise -- great pick!! This is the second time I've seen this today:-) Totally stumped that this is a Gretchen McNeil book, but I guess she wants to try something different. Thanks for visiting today! Ohh, interesting. Haven't heard of this but it looks interesting. Thanks for sharing and coming by Bemused Bookworm. Oh, YAAAASSSSS!!! I LOVE the sound of this!! I wish I had had such a formula myself, back when I was high school...lol. I wonder why high school is SO fraught with angst, for some people, while others just sail right through it. I KNOW I'm going to enjoy this one! I had never heard of it before, either, so thanks for the heads up! Off to Goodreads I go!! !